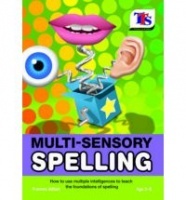 With this book, you can help children find individualised, fun ways into vocabulary and grammar. 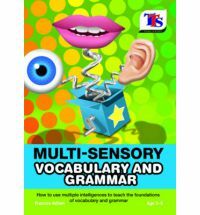 Multi-sensory learning draws on the five senses and the theory of multiple intelligences to cater for individual learning styles. It is a great resource for teachers of language and literacy, as well as those looking for new inspiration or working with children who have special learning or behaviour needs or may have dyslexia, ADHD or ADD. The book provides teacher notes, numerous engaging activities and charts and checklists for classroom use. A step-by-step approach to teaching the foundations of Spelling.